Selling a veterinary practice allows you to realize your practice’s maximum financial benefit while making preparations to slow down or retire sometime in the future. Selling a veterinary practice is a significant business decision that affects your future income and retirement. Praxis will: explain the ways to sell, set a fair price, advertise your practice, screen all inquires, locate a buyer, handle negotiations and contracts, help with financing, and bring the deal to a close. Your Praxis advisor puts your interests above all else, focusing on the details and timeline, so you can focus on practicing veterinary medicine until the sale is final. We use an income-based approach that determines value by capitalizing earnings and considers many factors that will ultimately affect the value and price. We believe that an appraisal is a tool to sell your practice, so we include it in our contingent sales fee - resulting in a free appraisal. We take the time to perform a thorough and detailed valuation but believe that determining the price is a means to an end. 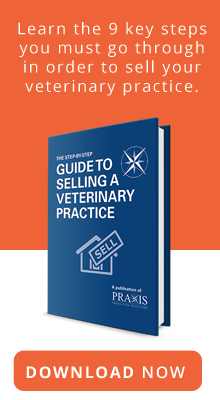 Praxis will prepare a detailed prospectus of your veterinary practice to share with qualified buyers, who have signed a confidentiality agreement, and begin marketing your practice. 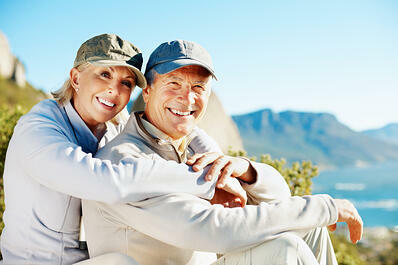 Praxis wants to ensure a proper fit for both you and the buyer. We understand that you have spent years building relationships with staff, clients, and patients and would like to smoothly hand it over to a new owner. Having a trusted business advisor from Praxis helps to assure that the transaction is a win-win outcome for the buyer and seller. We’ll act as a liaison between you and the buyer, negotiating terms that are fair to both, so everyone’s goals are achieved. Let's Talk. Schedule a Call or Contact Us.